The Chief Minister was speaking at the 11th foundation day function of Mahavir Vatsalya Cancer hospital run by donation from devotees at Mahavir temple near Patna junction. Nitish Kumar exhorted that the temple should play active role in propagating against social evils. 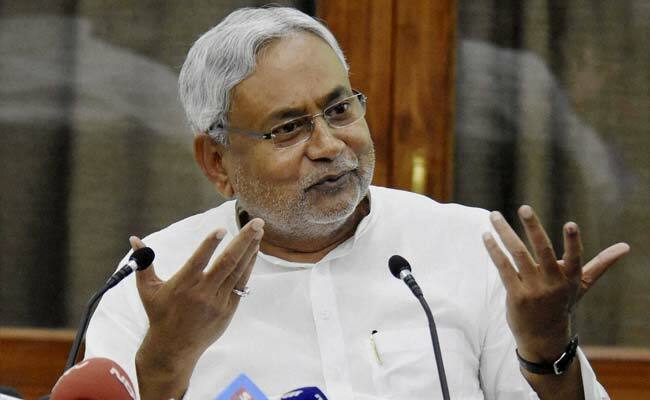 Patna: Bihar Chief Minister Nitish Kumar today announced that his government would launch a vigorous campaign against child marriage and dowry in Bihar. "Like total liquor ban, the state government would launch a vigorous campaign against child marriage and dowry from coming Gandhi Jyanti," Mr Kumar said at a function here. Mr Kumar said like taking a call against total prohibition on demand of a few women, he was inspired to run a campaign against child marriage by a woman at "Lok Samvad" (public interaction) programme. Drawing attention towards evil effects of child marriage, he said among others it results in malnourishment among woman and children and and also "stunting" (short height) among the new generation. He exhorted that the temple should play an active role in propagating against social evils like dowry and child marriage among devotees. Mr Kumar said while Bihar has been a focal point for political changes in the country, the state has lagged behind in carrying agitations for social causes. "I started social stirs after assuming power (in 2005)," he said and highlighted initiatives like save girl child, prohibition, de-addiction and women empowerment to drive home the point. The Bihar Chief Minister also referred to drastic increase in the percentage of immunisation in the state at around 84-85 per cent. "Our target is to bring Bihar among top five states in terms of immunisation," he said. Mr Kumar also remembered the successful pulse polio drive immediately after coming to power in 2005. District Magistrates were endowed with the responsibility for successful conduct of pulse polio campaign, he said and recalled people flocking to him during his visit to Pakistan recently to know about pulse polio success. Mr Kumar also emphasised the need to launch a campaign to inspire people to show same promptness in medical treatment of daughters as done for sons.